ULAN BATOR, APRIL 27 (Reuters) - Mongolia signaled on Monday it will not abide by an international tribunal's order to pay more than $100 million to Canadian uranium explorer Khan Resources Inc. The move comes just days after Jim Doak, Khan's chairman and a well-known figure in Canada's financial industry, died in Ulan Bator from reasons deemed to be natural causes on April 23, a day after talks between the two sides ended. An international tribunal ordered Mongolia to pay about $100 million to Khan last month as compensation for having canceled its licenses to mine the Dornod uranium project in 2009 and instead granting the rights to Russia's ARMZ. Khan said in an April 24 statement that it had hired a "specialist" to assist in collecting the award, which then totaled $104 million, including interest. "Long-term losses from this damage would far outweigh any short-term questionable benefit," said Dale Choi, head of Independent Mongolian Metal and Mining Research, in an email to clients. "It would appear to us that Mongolia could be on the path to follow the company of countries which are not held in high regard by international financial market, such as Venezuela and Argentina," he said. April 28 (UB Post) The General Police Department made a statement about the death of James Doak, former chairman of Canadian uranium miner Khan Resources Inc. The timing of his death stirred various suspicions in international media. The Mongolian Police made a statement to clear up the rumors. "According to an investigation at the scene of crime, no visible injuries or wounds have been found. A preliminary autopsy of the Institute of Forensic Examination stated that the death was due to disease," stated the General Police Department. Sukhbaatar District Police Department arrived at the 16th floor hotel room of Blue Sky Hotel after a report was made at 8:40 p.m. on April 23. The Police discovered that the man was 59-year-old Canadian citizen and chairman of Khan Resources, who had been awaiting an early morning flight home to Canada. Although the Police refused to reveal why he had come to Mongolia as it was a matter of privacy, it was discovered that Doak travelled to Ulaanbaatar with President of Khan Resources Grant Edey to negotiate with representatives of the Mongolian government over payment of the award made by an international arbitration court against the government of Mongolia. Khan Resources announced early on Thursday, before the news of Doak's death, that it was seeking an "amicable way" to collect the 104 million USD awarded by an international arbitration tribunal on March 2. The compensation included 80 million USD as base amount, interest from July 2009, and additional 9.1 million USD of costs awarded in Khan Resources' favor. "In respect of international arbitration, Doak and I and the board had developed a clear and consistent strategy for settlement of the award and for obtaining value for the shareholder. That strategy will not change one iota as a result of Jim's passing," said Grant Edey, the President of Khan Resources, in a statement. In an interview with a Globe and Mail reporter given days before travelling to Ulaanbaatar, Doak revealed that he wasn't optimistic about the outcome of the discussions to take place in Mongolia and that the company had taken steps to enforce its right to compensation. According to Globe and Mail, Doak notified that Khan Resources had hired an unidentified company that specialized in collecting delinquent government debts by seizing assets, such as airplanes or ships temporarily located outside the country. Doak became ill hours after talks started in Ulaanbaatar on the day prior to his death, according to a person who declined to be identified. He cancelled a dinner plan with Grant Edey and returned to his hotel room to rest before his flight back to Canada the next day. Later, Doak was found dead without vital signs by a hotel staff. The timing of Doak's death so soon after negotiations started was initially perceived as suspicious by some company officials and investors, as reported by Globe and Mail. The report continued saying that some family members and friends stated the possibility that Doak, a diabetic, may have died from natural causes. "This is a very difficult and emotional situation for everyone and we have yet to get all of the answers. But, at this time, Jim's death does appear to have been a result of natural causes," claimed David McAusland, a Khan Resources Director and long-term friend of Doak's. Julian Dierkes, professor at the Institute for Asian Research at the University of British Columbia, said that although the timing of Mr. Doaks death is "eerie," he does not suspect foul play. "There isn't a history of targeted violence in Mongolia, neither domestically, nor towards foreigners." The Institute of Forensic Examination is currently conducting a full autopsy on Doak. The General Police of Mongolia stated that a detailed analysis of the full autopsy will be released in 10 days. The UB Post will report more on this story once the full autopsy report is released. April 24 (Business News Network) Jim Doak, the co-founder of Sui-Generis and a regular guest on BNN, died suddenly Wednesday night. He was 59 years old. Jim was well-known to BNN viewers and Bay Street. He headed up a number of firms, including Megantic Asset Management and Enterprise Capital. Jim Doak leaves behind a spouse, and four children. April 29 -- Aspire Mining Limited (ASX: AKM, the "Company" or "Aspire") is pleased to advise that it has received firm commitments totalling up to $2.1 million for a Capital Raising and each of the Aspire Directors have committed to participate in the Capital Raising with Mr Neil Lithgow, a current large shareholder and Director committing up to $2 million of this amount. The Capital Raising is for a minimum of $2.75 million and a maximum of $6.0 million, with the Company entitled to accept oversubscriptions of up to $1.0 million (all before Capital Raising costs). • One (1) attaching option for every two (2) new shares subscribed. These options will have a two year term with an exercise price of $0.03 per share. Application will be made to ASX for the options to be quoted. Investors should note that approval will be subject to certain conditions being satisfied. Existing Aspire shareholders (as at the Record Date) will be invited to participate in the Capital Raising via a $2.0 million Priority Allocation pool with each existing shareholder having a priority entitlement of $15,000 or such other amount as specified (subject to scale back). The funds raised via the Capital Raising will be used to further explore the Nuurstei and Ovoot coking coal projects, technical studies, negotiation for rail related agreements for Northern Railways LLC, debt servicing costs and general working capital. 1 Note that the above timetable is indicative and subject to change. Commenting on the Capital Raising, Managing Director Mr David Paull said "the Company is encouraged by having such a substantial pre-commitment in place prior to the capital raising commencing. The Company looks forward to commencing its exploration programme at Nuurstei for 2015 and continuing to make good progress on the development of rail infrastructure in Northern Mongolia, which will benefit both of the Company's Ovoot and Nuurstei Coking Coal Projects". Argonaut is acting as Lead Manager to the Capital Raising. Aspire is also pleased to provide an update to its shareholders relating to a Binding Term Sheet (the "Term Sheet") entered into with the Noble Group (SGX: N21, "Noble") on 16 March 2015. This Term Sheet has now been amended to assist the Company to execute the above fund raising. HALIFAX, NOVA SCOTIA--(Marketwired - April 27, 2015) - Erdene Resource Development Corp. (TSX:ERD) ("Erdene" or "Company"), is pleased to announce it has closed its non-brokered private placement financing with Teck Resources Limited ("Teck"). The net proceeds will be used for exploration of the Company's Teck-Alliance projects in Mongolia. The private placement financing included the issuance of 2,826,310 shares to Teck at a price of $0.139 per share for gross proceeds of $392,857 ("Private Placement"). In addition to the Private Placement, Teck was issued 1,071,429 shares on the exercise of warrants with an exercise price of $0.10 per share, for gross proceeds of $107,143. This fulfills Teck's annual equity investment obligation pursuant to the strategic alliance between Erdene and Teck announced by Erdene on April 11, 2013 (the "Alliance"). Net proceeds from the exercise of the warrants will be used to retire the $107,142 non-interest bearing loan owed to Teck. The Alliance provides Teck with earn-in exploration opportunities on new mineral licences generated by the Company in Mongolia. Subsequent to year-end the Mineral Resources Authority of Mongolia (MRAM) re-opened the mineral license staking system after a 5-year hiatus, further signaling the country's efforts to reignite foreign direct investment in the mining sector. Since the opening of the licensing system, Erdene has been active on behalf of the Alliance in efforts to secure new exploration licenses. Pursuant to the Alliance Teck has the option of making additional private placements in Erdene, priced at the then current market (10-day volume weighted average price) plus 10%, until Teck has invested at least $3 million or acquired through those subscriptions 19.9% of the outstanding shares of Erdene, whichever occurs first (the "Teck Placements"). A minimum of $500,000 is to be subscribed on each anniversary date of the closing of the initial tranche. Teck has participated in four Erdene private placements since April 2013 for a total of $2.0 million, bringing Teck's holdings of Erdene's outstanding common shares to 15.1%. Once Erdene has spent 85% of the proceeds from the Teck Placements on the initial program, Teck will have the option to acquire up to a 75% interest in designated projects through a two stage option process by funding exploration expenditures of up to $5 million on each of the designated projects within the Trans Altay project area. April 28 (Proactive Investors) Xanadu Mines (ASX:XAM) is on the road to its goal of becoming Mongolia's leading copper-gold explorer with drilling recommencing at its flagship Kharmagtai copper-gold project. Kharmagtai is one of the most advanced porphyry projects in Asia with a contained Indicated and Inferred Resource of 1.53 billion pounds of copper and 2.18 million ounces of gold. It is located in the under-explored South Gobi porphyry copper province which hosts the world-class Oyu Tolgoi copper-gold operation, the Tsagaan Suvarga porphyry copper-molybdenum development and Xanadu's Oyut Ulaan copper-gold exploration project. Xanadu and partner Mongol Metals acquired a 90% stake in the project in February 2014. Xanadu has the right to earn an 85% interest in the joint venture – equivalent to a 76.5% effective interest in the project – by funding acquisition and exploration costs. The multi-drill rig exploration program is fully funded and will comprise approximately 10,000 metres of diamond core drilling. This is aimed at defining near-surface strike extensions of current deposits and to investigate several high priority targets under shallow cover that have the same geophysical response and geometry as existing deposits within the Kharmagtai project. "We are delighted that drilling has recommenced at our Kharmagtai project. "Our team is keen to pick-up from where we finished off last year at Kharmagtai and believe further drilling will continue to unlock the true potential of this highly mineralised and underexplored porphyry copper-gold project." The company recently completed its $15.3 million capital raising that included Noble Group further subscribing for $0.7 million worth of shares under the rights issue. Together with its exit from non-performing and non-core projects, the company's improved balance sheet underpins its growth strategy. The Kharmagtai Project has potential for a large scale copper-gold system with a multiple near-surface & gold-rich centres. Since it was acquired in 2014, Xanadu has completed 12,500 metres of diamond drilling that extended mineralisation around the three central outcropping prospects - Altan Tolgoi, Tsagaan Sudal and Zesen Uul. This also intersected the first significant copper-gold mineralisation associated with tourmaline breccia mineralisation at Altan Tolgoi that is analogous with the world class Rio Blanco – Los Bronces copper system. Altan Tolgoi has shallow, gold-rich stockwork and mineralised breccia units. Drilling had resulted in multiple 200 metre intercepts grading 1% copper equivalent. The high grade core is increasing in size and remains open. About 3/4 of the complex is located under unexplored shallow cover giving potential to host multiple porphyry centres. Preliminary metallurgical testing indicates high recoveries for the copper with gold likely to be a significant by-product. In March 2015, Xanadu announced an Indicated and Inferred open cut Resource of 129 million tonnes at 0.3% copper and 0.3 grams per tonne gold and an underground Resource of 74 million tonnes at 0.42% copper and 0.4g/t gold. The South Gobi Province has proven company- making copper-gold development potential with excellent power, rail, road and water infrastructure. This includes established power transmission lines; the Tavan Tolgoi power station proposal; north-south rail infrastructure; east-west rail under development; quality sealed road network; and established water resources. South Gobi also provides access to well-established mining services as well as close proximity to North Asian customers. It hosts Rio Tinto's (ASX:RIO) Oyu Tolgoi copper-gold operation, the Tsagaan Suvarga porphyry copper-molybdenum development and Xanadu's Oyut Ulaan copper-gold exploration project where drilling identified narrow zones of gold-rich porphyry style mineralisation. Mongolia has strong government support for mining and foreign investment. The recently $15.3 million capital raising through a $13.6 million private placement and subsequent rights issue has led to a significant reduction in the Kharmagtai deferred consideration payments from US$10 million to around US$3.8 million. The company has also extended the repayment date for the Kharmagtai deferred consideration to 31 July 2016. This leaves the company funded for exploration in 2015 with significant cash reserves of A$7.5 million as at 31st December 2014. Of note, Xanadu Mines also has partners with strong mining and Mongolia credentials. It has Noble Group as a major shareholder. - Coal company Sakari Resources, a subsidiary of Thailand conglomerate PTT. Kharmagtai is already a massive copper-gold project with existing Indicated and Inferred Resources of 1.53 billion pounds of copper and 2.18 million ounces of gold within the emerging South Gobi copper-gold province. With this mineral endowment, Xanadu is already among the leading copper gold explorers in Mongolia. Despite this resource, the project area is significantly under-explored and is likely to offer up more mineral riches. The project is located within the world-class copper-gold South Gobi province, the region has already proven company making copper-gold development potential. Development conditions are favourable with relatively simple logistics in terms of location. Xanadu Mine's drilling is expected to further unlock further potential of this highly mineralised and underexplored porphyry copper-gold project. Previous drilling has already extended mineralisation around the three central outcropping prospects. The shallow high grade porphyry mineralisation is open in all directions. In particular, the Altan Tolgoi prospect has copper-gold mineralisation associated with tourmaline breccia mineralisation which is analogous with the world class Rio Blanco – Los Bronces copper system. The high grade core at Altan Tolgoi is increasing in size and remains open. Further upside is likely given that 3/4 of the complex is located under unexplored shallow cover. Investors have already lined up behind Xanadu with Noble Group further subscribing for $0.7 million worth of shares under the rights issue while Singapore-based Asia Capital and Advisers and its associates have become cornerstone investors. Toronto, Ontario, April 27 (FSCwire) - Mongolia Growth Group Ltd. ("MGG" or the "Company") is pleased to announce the closing of the Company's previously announced settlement of outstanding amounts owed by the Company in the amount of US $420,000 through the issuance of 640,691 common shares of the Company at a price of CAD $0.82 per share. The shares are subject to a four month hold period from the date of issuance. April 28 -- The Board of Directors of Guildford Coal Limited ("Guildford" or the "Company") (ASX: GUF) confirm that the strategic review, as outlined in the ASX release dated February 27, 2015 and released on the ASX Market Announcement Platform on March 2, 2015 (the "February 27 Release"), is being executed as planned. The Company remains focused and on track to deliver all aspects of the review, both on the regional level in Singapore, and on an operational level in Queensland and Mongolia. Guildford has engaged UOB Kay Hian Holdings Limited ("UOB Kay Hian") in connection with its investigation of the merits and mechanisms for a potential listing (dual and/or sole) on the Singapore Exchange Securities Trading Limited as announced in the February 27 Release (the "Potential Listing"). UOB Kay Hian is a regional financial services group headquartered in Singapore providing a comprehensive range of broking agency services, corporate advisory and fund raising and other corporate finance and investment banking activities. Its distribution footprint now spans across Singapore, Hong Kong, Thailand, Malaysia, Indonesia London, New York and Toronto. Guildford has also recently established a regional office in Singapore, a strategic move towards being closer to operations, customers, financiers and the majority of shareholders. The Baruun Noyon Uul (BNU) coking coal mine in Mongolia, which has recently commenced commercial production continues to ramp up production. The Company is finalising negotiations on long term offtake agreements with a number of endusers. The mine recently reached an important safety milestone of 1 million man-hours lost time incident free. The Company continues to look for opportunities to expand the existing foot print in the Mongolian South Gobi coal basin, within which Guildford possesses expertise and existing infrastructure. Management will continue to carefully seek and evaluate strategic acquisition opportunities, in order to bolster medium term production. Guildford remains strictly committed to financial guidelines of arrangements with financiers the Noble Group and Orchard Capital Partners and continues to enjoy their strong support. Shareholders are advised that there is no certainty or assurance as at the date of this announcement that the Potential Listing will be completed. The Company will make the necessary announcements when there are further developments in relation to the Potential Listing. The Board further advises that 4,758,444 performance rights granted to former Group MD, Mr Peter Kane, have lapsed due to the two (2) performance conditions attached to the rights not being met. The performance rights were granted in a resolution passed at an EGM of the Company on April 3, 2014. HONG KONG, CHINA--(Marketwired - April 28, 2015) - The board of directors of SouthGobi Resources Ltd. (TSX:SGQ)(HKSE:1878) (the "Company" or "SouthGobi") will meet on Monday, May 11, 2015, to consider and approve the first quarter 2015 financial results of the Company and its subsidiaries. These financial results will be released before Toronto Stock Exchange ("TSX") market open. The name of the Company has been changed from "China Outdoor Media Group Limited 中國戶外媒體集團有限公司" to "National United Resources Holdings Limited 國家聯合資源控股有限公司", effective on 21 January 2014, for presenting a more precise image in its diversifying development progress of the Group. • In April 2014, a subsidiary of the Company entered into coal purchase agreements with Erdenes Tavan Tolgoi JSC, a Mongolian state-owned joint stock company, for securing supplies of 1,750,000 tons of coal in Mongolia. Besides securing coal supplies in Mongolia, the Group aimed at establishing a full supply chain of coal from Mongolia to the PRC. In April 2014, a subsidiary of the Company, entered into the joint venture agreement in relation to the formation of a joint venture company in the PRC to be engaged in the investment and development of a bonded logistics park located in the border crossing point of Ganqimaodu, Bayannur City, Inner Mongolia Autonomous Region, the PRC. The Group operates outdoor advertisement mediums/billboards provision business, advertisement design and production, graphic and brand design services as well as corporate culture consultancy in the PRC and in Mongolia. In this reporting period, the Placid Expression Limited ("Placid Expression") and its subsidiaries (collectively the "Placid Group") proceeded rendering advertisement design service and corporate image advisory to customers. Pursuant to the sales and purchase agreement of acquisition of Placid Group, the vendor has irrevocably warranted and guaranteed that the Placid Group a HK$15,000,000 profit for the twelve months period from 1 October 2013 to 30 September 2014 (the "Guaranteed Profit"). The auditor of the Company has confirmed the Guaranteed Profit was achieved. In order to further develop and maintain the coking coal trading business, the Group was continue to explore investment opportunities during the financial period. In July 2014, the Company and Turquoise Hill Resources Limited entered into the sale and purchase agreement, pursuant to which Turquoise Hill Resources agreed to sell, and the Company agreed to purchase, 56,102,000 common shares of SouthGobi Resources Limited ("SouthGobi Shares") which is primary listed on the Toronto Stock Exchange (stock symbol: SGQ) and secondary listed on the Stock Exchange (stock code: 1878) at the purchase price of 25,526,410 Canadian dollars and subject to the terms of the sale and purchase agreement. As this acquisition constitutes a very substantial acquisition of the Company under the Rules Governing the Listing of Securities on the Stock Exchange ("Listing Rules"), the acquisition is subject to approval by the shareholders of the Company (the "Shareholders"). Up to the date of this report, the acquisition has not been completed because some of the conditions for completing the acquisition have not yet been fulfilled. On 21 October 2014, an indirectly wholly-owned subsidiary of the Company (the "Purchaser") entered into a conditional sale and purchase agreement (as supplemented by the side letters dated 31 December 2014 and 30 January 2015, collectively the "Sale and Purchase Agreement") to purchase the entire issued share capital of Able Nice International Limited, a company incorporated in the British Virgin Islands with limited liability, which indirectly holds approximately 90% equity interests in Takhidagkhairkhan Limited Liability Company with Foreign Investment, which is principally engaged in international trading, logistic and storage management of coal in Mongolia at a consideration of HK$150,000,000 (the "Discloseable Acquisition"), which will be satisfied partial in cash of HK$75,000,000 and partial by the issue of a six-month 6% promissory note of HK$75,000,000 by the Company. The Discloseable Acquisition constitutes a discloseable transaction of the Company under the Listing Rules. Up to the date of this report, the Purchaser has not yet completed due diligence on the target group to be acquired in the Discloseable Acquisition with a satisfactory result, one of the most important condition precedent in the Sale and Purchase Agreement. In addition, the Purchaser has no intention to waive the fulfillment of any condition(s) precedent in the Sale and Purchase Agreement, which shall be fulfilled or waived (if applicable) on or before 31 March 2015 (the "Long Stop Date"). The Company considered it would not be in the interest of the Company and the Shareholders to further extend the Long Stop Date and proceed with the Discloseable Acquisition. As a result, the Sale and Purchase Agreement will lapse and the Discloseable Acquisition will be terminated on 31 March 2015. The Company considered that the termination of the Discloseable Acquisition will not have any material adverse impact on the financial and operational position of the Group. In order to diversify the business of the Group for maximizing returns to the Shareholders, the Group has explored business development opportunities in leasing business by setting up a joint venture company in May 2014 with several joint venture partners. 青島城市建設投資（集團）有限責任公司 (Qingdao City Construction Investment Group Company Limited*) is the key joint venture partner who is a state-owned enterprise under the Qingdao municipal government, engaging in the development and construction of urban and rural infrastructure and tourism. Besides leasing business, in view of a huge development potential in Mongolia, the Group has also participated in a real estate development project located in Ulaanbaatar, the capital of Mongolia, by investing in real estate developer in this reporting period. This investment was accounted for as an associate of the Group. Ulaanbaatar, April 27 (MONTSAME) At the Stock Exchange trades on Monday, a total of 22 thousand and 395 units of 18 JSCs were traded costing MNT 10 million 457 thousand and 123.00. "Merex" /19 thousand and 408 units/, "APU" /884 units/, "Remikon" /532 units/, "State Department Store" /448 units/ and "Mongolyn gegee" /200 units/ were the most actively traded in terms of trading volume, in terms of trading value were "APU" (MNT three million 145 thousand and 550), "Merex" (MNT one million 746 thousand and 720), "Darkhan nekhii" (MNT one million and 360 thousand), "Gobi" (MNT one million 207 thousand and 800), "Ulaanbaatar khivs" (MNT one million 164 thousand and 800). The total market capitalization was set at MNT one trillion 286 billion 165 million 567 thousand and 704. The Index of Top-20 JSCs was 12,909.62, increasing 0.79% and the all index of MSE was 945.85, increasing 0.43% against the previous day. Ulaanbaatar, April 28 (MONTSAME) At the Stock Exchange trades on Tuesday, a total of 26 thousand and 746 units of 18 JSCs were traded costing MNT two billion 101 million 546 thousand and 123.00. "Merex" /2,771 units/, "State Department Store" /1,000 units/, "APU" /601 units/, "Khodoogiin teever" /312 units/ and "Makh impex" /200 units/ were the most actively traded in terms of trading volume, in terms of trading value were "Talkh chikher" (MNT three million 241 thousand and 280), "APU" (MNT two million 137 thousand and 450), "Material impex" (MNT one million 809 thousand and 500), "Makh impex" (MNT 836 thousand and 590), "Baganuur" (MNT 633 thousand and 600). The total market capitalization was set at MNT one trillion 283 billion 887 million 076 thousand and 869. The Index of Top-20 JSCs was 12,872.98, decreasing 0.28% and the all index of MSE was 944.12, decreasing 0.18% against the previous day. April 28 (MSE) On 28 April 2015, 52 weeks Government retail bonds worth MNT2,089,100,000.00 with 16.0% annual interest rate and 5 year Government bonds worth MNT2.0 million with 16.75% annual interest traded successfully on primary market at Mongolian Stock Exchange. 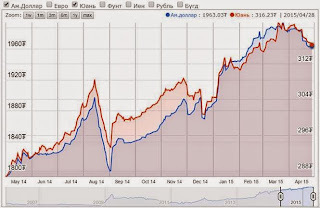 April 24 (MSE) Mongolian Stock Exchange organized 5 securities trading sessions and made transaction of MNT20,9 billion between 20 April 2015 and 24 April 2015. 129,176 shares of 43 joint stock companies worth of MNT 75,520,160.00 were traded. 209,049 Government retail bonds worth of MNT20,904,900,000.00 were traded through one bonds trading session. As of 24 April 2015, market capitalization was MNT 1,280,871,013,705.00 which indicated decreases of 1.45%, and MSE ALL index reached 941.82 units which indicated decreases of 1.55% from the previous week. April 28 (Bank of Mongolia) On the Foreign Exchange Auction held on April 28th, 2015 the BOM has not received any bid offers and selling bid offers of USD and CNY from local commercial banks. On March 28th, 2015, The BOM has received USD Swap agreement bid offer in equivalent to USD 87.0 and MNT Swap agreement bid offer of USD 27.5 million from local commercial banks and accepted the offer. April 27 (Cover Mongolia) As of April 24, ₮568.2 billion (₮₮554.4 billion as of March 12) existing mortgages of 19,099 citizens (18,790 as of March 12) were refinanced at 8% out of ₮831.9 billion (₮823.4 billion as of March 12) worth requests. Also, ₮1,925 billion (₮1,722.9 billion as of March 12) new mortgages of 35,689 citizens (30,510 citizens as of March 12) were issued at new rates out of ₮1.96 trillion (₮1.77 trillion as of March 12) worth requests. April 28 (gogo.mn) According to the statistics about 1600 individuals have been approved for mortgage loans in over a months' time. This number breaks down to over 40 individuals per day who are approved for the loans. Compared to the period when the 8 percent mortgage loans have been introduced the number has declined by 10. This implies that the number of eligible for the mortgage loan program has declined as well. As of April 24th, applications for the mortgage loans received by the commercial banks reached MNT 1,96 trillion. Of which 35,000 individuals have been approved for mortgage loans worth MNT 1 trillion 925 billion. Moreover, banks have refinanced loans of 19,000 individuals worth of MNY 568,2 billion and transferred to 8 percent loans according to Bank of Mongolia. April 27 (Bank of Mongolia) Current account showed surplus of US$ 19.6 million which means that the deficit had reduced by 106 percent from previous year. Main trigger to this was US$ 379.0 million increase on surplus of trade in goods to US$ 450.8 million. Capital and financial accounts had surplus of US$ 28.9 million, nevertheless the figure indicates a drop of 89 percent or US$ 229.5 million from same period of previous year. This decline is explained by reduction in foreign direct investment into Mongolia by US$ 366.1 million. April 28 (Oxford Business Group) Investor appetite towards Mongolia could be improving amid hopes Ulaanbaatar may be in the process of settling a long-running dispute with mining giant Rio Tinto over the development of phase two of the Oyu Tolgoi mine, allaying concerns over the government's ability to repay or roll over existing debt. The government said in early April it had agreed "in principle" to an agreement with Rio Tinto, helping break the deadlock which has thwarted the second phase of the Oyu Tolgoi gold and copper mine. The underground development of the project, estimated to cost around five billion USD, has been at a standstill for more than two years due to differences between the two partners over taxes owed, financing and costs from the first construction phase. The standoff with Rio Tinto as well as falling minerals prices and weakening Chinese demand for coal, have resonated throughout the economy, with foreign investors holding back from committing to new projects until the investment climate becomes more predictable, and prompting a drop in foreign direct investment last year. "A deal could have potentially transformative effects for the country's external accounts and macroeconomic position, catalyzing billions of dollars in new foreign capital inflows, accelerating economic activity and providing relief to many of the country's key credit constraints," ratings agency Fitch said in a note in April. Nonetheless, bond markets have been negatively impacted recently, with both local and foreign investors shunning government paper. A clear sign of soured investment appetite emerged when the government had to withdraw an 10 billion MNT (5.1 million USD) three-year bond issue on April 8 after receiving no bids in an auction, the central bank said. Another auction in mid-February for 20 billion MNT (10.2 million USD) of three-year bonds also attracted no interest from overseas or local investors, even though Mongolian banks are traditionally the largest buyers of government bonds. Nick Cousyn, chief operating officer of brokerage firm BDSec, said the lack of interest was the result of liquidity shortages in the market. "The banking system is tight on cash due to delinquencies and deposit flight," he told AFP news agency in February. A separate 40 billion MNT (20.4 million USD) bill auction in February fared slightly better, with half of the bonds being sold. The cool response of the market prompted the government to consider a standby agreement with the IMF. Prime Minister Ch.Saikhanbileg said in February that this was "an open option among many" for Mongolia. Since then, however, Ulaanbaatar has not made any further statements regarding IMF assistance. "No official talk has been made on entering an official bailout program, but there is a need to consult the policy changes with the IMF and other international organizations such as World Bank," said the Prime Minister. Although Fitch said a deal on Oyu Tolgoi would help stabilize Mongolia's credit profile, it has stamped Mongolia's sovereign issuer default rating with a negative outlook, highlighting weak external liquidity as one of the country's credit weaknesses. Analysts have warned that Mongolia will struggle to repay its debts if the economy is not able to turn a corner soon. Public debt has risen to an estimated 59 percent of GDP as of the end of 2014, according to Fitch, while its resource-driven revenue streams have partly dried up due to low commodity prices and weaker global demand. The cost of servicing debt has also increased as a result of the devaluation of the tugrug, which has lost about a quarter of its value against the U.S. dollar since the start of 2013. At the same time, deadlines are looming with one billion USD in sovereign bonds due in 2018.
ongolia also has to repay part of its bilateral currency swap agreement with China in 2017, though this could be extended for another term, as was the case in 2014 when China increased the value of the swap facility from 3.28 trillion MNT (1.6 billion USD) to 4.8 trillion MNT (2.44 billion USD), helping ease some of Mongolia's short term funding concerns. "The government has a window to resolve these vulnerabilities, but, as time goes by, the window closes. Large repayments are due in 2017 and 2018, and that time horizon is not that far away," said Anushka Shah, an analyst at Moody's. According to the Asian Development Bank, average GDP growth could be limited to 4 percent this year and the next − after reaching 7.8 percent growth in 2014 − unless there is a recovery in foreign investment. This is putting greater pressure on the government to resolve the situation at the Oyu Tolgoi mine, to shore up investor confidence and lower credit risks. April 27 (gogo.mn) Last week, the Government submitted Tavan Tolgoi Resolution Draft to the State Great Khural. However, MPP group have not made discussion on TT resolution draft during their group meeting. MPP Group Leader S.Byambatsogt said: "Last February, MPP group at State Great Khural established working group led by MP Ya.Sodbaatar to improve the benefits of Tavantolgoi deposits for the Mongolia and they have made research on TT deal. Activity of the working group has been proceeding normally and they are conducting fundamental research. MPP Group will express its position on TT deal in connection with the conclusions of the working group. MPP is still standing on its position to add value to 1072 shares and TT agreement draft should be discussed by the Parliament. First of all, we will decide that the Parliament to discuss TT deal or not and then we will discuss it more seriously." Ulaanbaatar, April 28 (MONTSAME) The cabinet meeting on Monday decided to submit to parliament draft basic guidelines for 2016 socio-economic development. Works will be done through the guidelines to implement goals reflected in the list of measures for the 2012-2016 governmental action program, the national development strategy based on the Millennium Development Goals (MDGs), to ensure the national economic growth, to support the budget stability and balance with a proper policy of investment and debt management, to reduce the unemployment by augmenting job places, to back the growth of concrete spheres, and to realize policy measures for intensifying each sector. Within the macro-economic policy, the policies will be implemented in 2016 to ensure the economic stability, increase the national GDP per capita, keep the inflation rate in one-digit number. The basic guidelines also reflect measures for reducing the unemployment rate to 7%. Ulaanbaatar, April 28 (MONTSAME) The cabinet at its Monday's regular meeting supported parliamentary draft resolutions on adopting the Master Budget Framework Statement for 2016, a bill on Budget Assumption for 2017-2018 and the Document on Mongolia's medium-term strategy on debt management, and resolved to submit them to parliament. All decisions of the Government regarding debt must satisfy the terms of the latter document, because the medium-term strategy on the debt management will determine the policy objectives of the Government and local administrations concerning debt and issuance of government bonds. The strategic document has been developed on the instruments prepared by the World Bank and the International Monetary Fund. It analyzes the expenses and risks in the Government's debt package on the basis of medium and long term macroeconomic assumptions. The analyses' results are used to designate the composition of the Government debt package, debt criteria, and to direct the credit procurements. · 12 with joint investment. Total of MNT 8,95 billion was concentrated at the state budget during January 1st to April 24th of this year. Ulaanbaatar, April 28 (MONTSAME) At its meeting on Monday, the cabinet decided to submit to parliament a draft amendment to the law on adjudication of civil cases. In accordance with the law on land ownership, the citizen of Mongolia has a right to pawn his/her lands to citizens, commercial banks or non-banking financial institutions (NBFI). In case of poor realization of the contract's clauses, the pledge's side accesses the three-round court which greatly reduces the NBFI's willingness to give loans under the pledge of lands. The draft amendment aims to regulate such a situation, meaning that mutual regulations of the pledges will be ensured, separating them from a debate of functional performance, whereas the functional performance will be fulfilled after the court issues an order to ensure the notice of notary. Additional clauses are also reflected in the amendment about mutually regulating the functional performance without a debate of land pledges by the law on pledging of immovable properties, which will be altered in connection with this amendment. In general, the amendment of the law on adjudication of civil cases aims to regulate conflicts of land pledges before they reach the court. April 28 (infomongolia.com) In December 2014, the Government of Mongolia approved the quotas for hunting and trapping wild animals in 2015, but at the regular Cabinet meeting held on April 27, 2015, it was ratified to make some amendments into the Government Resolution No.377 that cites to increase the number of quotas and add animal types. In 2015, special permits to hunt or trap wild animals for special purposes will be allocated for a total of 40 Ugalz (male wild sheep and female species called - Argali), 60 mountain goats (Ibex - Yangir), 15 red deer, 20 wolves, 10 roe deer, 10 wild boars, 350 Siberian Salmon or Taimen (catch and release only), 150 Mongolian antelope, up to 300 wildfowl and 100 falcons for export purposes. In 2013, the Government of Mongolia issued a five-year ban on the export of the Altai Falcons (Falco Cherrug Altaicus) for commercial purposes, the species worshipped as Mongolia's National Bird of Glory in October 2012, nevertheless, 40 falcons were exported for cultural purposes in 2014. Relevant regulations and studies, the bird is included in the "sufficient" category of common use reservation and in 2010, the Government of Mongolia and Environment Agency of Abu Dhabi, United Arab Emirates had established a 5-year Memorandum of Understanding. According to document, a project to raise the number of saker falcon has being carried out in 20 Sums of Tuv, Khentii, Sukhbaatar, Govisumber and Dornogovi Aimags of Mongolia since 2010. Under the project, 5,250 artificial nesting structures were installed to increase wildlife reproductive success in those areas, whereas 200 breeding pairs hatched 600 birds in 2011, 380 pairs - 1,298 birds in 2012, and over 500 pairs bred about 2,000 falcons in 2013 respectively. Therefore, officials deem to exporting 100 heads of saker falcons will not impact negatively to the population of the species. April 28 (gogo.mn) Online public polls are taking place on the Law Against Domestic Violence, which is under discussion by State Great Khural. The poll was initiated by the Female MPs group, Mongolian Women Fund, Female members of Representatives Council of 21 aimags and 9 districts and local NGOs directed at women. The law was initiated by President of Mongolia and submitted for the discussions at the State Great Khural on April 10th, 2015. Female MPs are acting for the urgent approval of the law, supposedly within the month of May. Previous Law Against Domestic Violence was approved in 2004, but is being criticized for the lack of related legislation and rules, making this law legally incapable to protect the victims of the domestic violence. Since the approval of the law many have become the victims of the domestic violence, but weren't available to be protected. In Mongolia every one family out of five is going through divorce based on the existing domestic violence and in just last three years period 61 individuals have tragically lost their lives. 42 females are imprisoned due to the murders of necessary self-defense. This law has become one of the awaited legal documents to stop the violence against women and children as the news are sparking of the victims of the domestic violence. D.Enkhjargal, Director of the National Center Against Violence, briefed on the main reforms included in this new law draft. According to her, the law provisions 6 chapters, 43 paragraphs and includes separate chapter to protect the rights of the children, elders, disabled individuals. Moreover the new draft provisions the protection of the children who have become the victim of the domestic violence while living outside of the family due to multiple reasons such as babysitting, herding, children of the divorcees and etc. The preventative measures of the violence are depicted in 2nd and 3rd chapters. Also as the victims of the domestic violence are usually first approaching hospitals the involvement of the health care entities has been legalized as well. The law also provides the victims with 8 different services such as shelter houses, psychological services, protection and social welfare services. Domestic violence has many types starting from the physical abuse and extending to the psychological abuse where the victim is forced to commit suicide, or limiting the person's economic rights, prohibiting an individual to enter into social relations such as having job and the list can be extended endlessly. The law provisioned each and every aspect of the domestic violence and not every act is considered as a crime. Professional help will be sought in order to identify each case and then the decision is to be made whether the case will be solved under Criminal code or as Violation. New provisions have been added on restraining order of the violator. In view of this provision, the violator shall be restrained and is to be regulated in accordance with the court ruling. This stands as the way to protect the victims of the violence. Female MPs have sent the law draft to the local governments for review and asked to contribute within 14 days after the law was submitted for the discussions. In view of this, discussions are being organized in 21 aimags and over 250 proposals have been received and were introduced by B.Erdenechimeg, Director of Mongolian Women Fund. For instance, rural citizens and entities have difficulties in dealing with victims of the domestic violence due to the lack of social workers and moreover, for the informants of the possible violence it is almost unrealistic to stay unidentified. Also for rural communities it is hard to keep the location of the shelters secret, therefore it is more reliable to establish shelters under the police stations. Some of the online poll participants were also mentioning the lack of the psychological services centers and the domestic violence victims are more inclined to ask on the ways to change the behavior of their spouses, rather than seeking for the divorce right away. Therefore, there is a real need to apply voluntary psychological courses to the violators. Online polls will proceed until 5PM today. Ulaanbaatar, April 27 (MONTSAME) Such a training ran April 24-25, organized by the Mongolian Journalists' Union (MJU), the National Human Rights Commission (NHRC) and the Swiss Agency for Cooperation and Development (SDC). Attendees were the journalists from national news agencies, websites, newspapers, TV channels and journals. On the first day, the chairman of the NHRC J.Byambadorj and the president of the MJU B.Galaarid visited the event as honored guests. They exchanged opinions with the gathered on the ways to protect their rights. A program manager of the SDC Mongolia Patience Singo gave a presentation themed "Artisanal Mining and Human Rights" gave information about the "Sustainable Artisanal Mining Project", which has been implemented here since 2005. He said that a legal environment should be established, in which currently illegal artisanal miners (so-called ninjas) can be legalized without a great amount of financial burden, so that their rights can be protected, the negative impact on the environment will be reduced and the amount of gold to be accumulated to the Bank of Mongolia is increased. The training moderators were B.Bolorsaikhan, a human rights lawyer and a referent at the NHRC, and Z.Badmaarag, a chief referent in charge of media issues at the NHRC. They emphasized that journalists should introduce human rights-based attitude into their day-to-day activities, and learn how to protect own rights as the human-rights defenders by educating themselves. Mr Galaarid said, "The journalists' involvement is crucial in the adoption of a comprehensive Law on Freedom of Press that regulate all disputes regarding journalism are referred to as civil cases rather than being regulated by the Criminal Law". Ulaanbaatar, April 27 (MONTSAME) A ceremony for laying a foundation stone of a monument in honor of Cyrillic alphabet ran Monday in the front yard of 18th secondary school in the city. The idea about the monument belongs to the Mongolian-Bulgarian Cultural Cooperation Center and the Citizens' Representatives Khural of Khan-Uul District. The construction will complete on this May 5. The Cyrillic alphabet comes from Bulgaria. The alphabet played an important role in writing the history of Mongolia's four generations. April 27 (gogo.mn) The Freedom Online Coalition is a group of governments who have committed to work together to support Internet freedom and protect fundamental human rights – free expression, association, assembly, and privacy online – worldwide. The Coalition provides a platform for multi stakeholder engagement, which is also recognized in its founding declaration, and the annual meeting is an opportunity to engage civil society and the private sector in a constructive dialogue on issues related to Internet freedom. On 4th and 5th May 2015 the Government of Mongolia will host the fifth Freedom Online Conference in Ulaanbaatar. Representatives from governments, private sector and civil society will meet to discuss current threats to freedom online and opportunities to strengthen the protection of fundamental freedoms and human rights. The overarching theme for the Conference is "Internet Policy Making – Best Practices for Promoting Online Freedom." In line with the Coalition's on-going work through its multi-stakeholder working groups, Conference workshops will be organized into three tracks: An Internet Free and Secure; Digital Development and Openness; and Privacy and Transparency Online. April 28 (gogo.mn) Standing Committee Meetings are scheduled for today. · Implementation of the Government Action Plan 2012-2016. · Work Plan 2015 of Human Rights Sub-committee. · Draft law on Approval of the Ulaanbaatar City Public Transport Development Investments Program between Government of Mongolia and ADB. · 2014 Action Plan Report for Social Welfare National Council. Ulaanbaatar, April 28 (MONTSAME) The Deputy Prime Minister U.Khurelsukh issued an order April 27 to intensify the trade and economic cooperation between Mongolia and China in areas of maritime port of Tianjing city of China. This regards the Chinese Government's decision to change Tianjin port into a trial free trade zone made from April 21. The order of the Deputy Premier sets out the formation of a working group in charge of promoting the trade and economic cooperation in Binhai district of Tianjin city. Mr Khurelsukh directed the group to work towards ensuring Mongolia's access to international waters, establishing favorable conditions for sustainable operations, promoting and expanding the bilateral trade and economic cooperation, involving professional unions and associations into the cooperation, on the basis of the arrangements made between the governments of Mongolia and China. April 28 (gogo.mn) 48 thousand tons of grain is needed for the spring cultivation this year of which the agriculturists have reserved 38 thousand tons from the crops of 2014. The rest of the required grain will be supplied from the reserves of Agriculture Development Fund and Emergency Management Authority Fund. As of today Agriculture Development Fund have released 2,3 thousand tons of grain to 103 entities through the loans with 20 percent deposits. Rest of the required grain will be supplied from the reserves of Agriculture Development Fund and Emergency Management Authority Fund with the order of the Deputy Minister dated April 27th, 2015 with 30 percent deposits. The release from the grain reserve funds will proceed through loans and the remaining balance will be covered with the crops that correspond with the standards and requirements. Currently the works to prepare the reserve grain has started. April 27 (World Bank) Ulaanbaatar, Mongolia, has an ongoing problem: it's regularly listed among the world's most-polluted cities. On the other hand, it has a relatively young and tech-savvy population with high connectivity and smartphone penetration. Herein lies a unique opportunity. From March 26 to 29, 2015, dozens of participants convened at Ulaanbaatar's (UB) IT Park for a weekend of green growth innovation. The event the latest in a series of activities driven by a simple question: how might we help transform Ulaanbaatar into a more sustainable and green city? The weekend ideation marathon - or "ideathon"- was part of Code4Green UB, an innovation and startup competition convening unlikely allies – students, sector specialists, government representatives, developers, and other stakeholders – to develop concrete ideas to address green growth challenges related to energy, transport, water and air quality. The program is implemented by the World Bank's Transport and ICT Global Practice in collaboration with Startup Mongolia and Internews, and is supported by the Korean Green Growth Trust Fund. UB's super-connected youth are a natural fit for a program that encourages citizens to co-design ICT tools that address environmental challenges in their city. "The World Bank's twin goals demand an inclusive, citizen-centered, and creative approach to tackling service delivery challenges faced by cities," said James Anderson, World Bank Country Manager for Mongolia. "Code4Green UB reminds us that experimentation and innovation by communities of atypical stakeholders can help us achieve these goals." The eight-month series of activities and actions closely follows the design thinking process, a methodology for creative problem-solving that focuses on deep understanding of problems, attention to the human user at the center of the process, and rapid prototyping and validation of ideas. To really understand the problems related to green growth, Code4Green UB kicked off with a careful analysis of green growth-related challenges. These problem statements were surfaced during meetings with "problem owners" (such as government practitioners and non-governmental organizations), deconstructed into user stories to help innovators address them, and shared online in categories such as water, energy, transport and air quality. These clinics were accompanied by meet-ups that exposed participants to design thinking, lean startup strategies, datasets shared by partners, and international examples of green growth innovations. The next phase turned to the tech community, inviting students, entrepreneurs and innovators to tackle these problems using software and hardware during a weekend marathon event. To keep the innovators on track, subject matter experts were on hand to validate theories, while business mentors trained teams on delivering pitches, developing business canvasses and more. The event concluded with quick-fire pitches by each team and the subsequent selection of seven winners by a panel of judges comprised of sector, government, donor community and private sector representatives. The jury included Mr. Ts. Buyantsogtoo, Adviser to the Speaker of Parliament of Mongolia, who in his closing remarks expressed his commitment for the government to continue collaborating with specific teams that he discovered during the pitches. "I was impressed by the energy and creativity of the participants," said Mr. Buyantsogtoo. "Activities like Code4Green UB help strengthen ties between government and citizens to innovate service delivery together." The winning ideas alone aren't enough to solve green growth challenges or develop meaningful entrepreneurship skills. To help these teams refine their ideas and startup acumen, the teams will jump directly into five weeks of pre-acceleration. This tailored program, led by Startup Mongolia, is designed to help teams build sustainable prototypes through mentorships, lean startup workshops and more. Other activities are planned to further support these ideas. Pre-accelerator graduates will pitch at a Demo Day on May 15, 2015, where they will compete for Code4Green UB grand prizes including a study tour in Korea to learn from the tech start-up community, a comprehensive three-month acceleration program and funds to support teams' development during that period. The development of startup skills and experience is integral to the growth of new businesses, job opportunities and information and communication technology (ICT) use across the Mongolian economy. In this context, the Code4Green UB initiative aligns with a broader agenda to foster the ICT entrepreneurship ecosystem in Mongolia, particularly as a mechanism to support youth employment and gender equality in access to jobs. Moreover, Code4Green UB represents a growing collaboration between the Government of Mongolia and the World Bank to leverage ICTs to improve service delivery. The SMART Mongolia project, currently pending approval with the country's parliament, covers a suite of programs to improve interoperability between government systems, provide foundations for Open Data and help social innovators fund their journey from idea to startup. Stay tuned for more Code4Green UB updates. April 27 (gogo.mn) Last weekend we visited biggest car market in Ulaanbaatar city Da Khuree, namely known for by Technical Market. The place was filled with Toyota Prius. Dealers were calling to see their cars perfectly washed and shiny. Compared to several years ago, the place was not crowded as much with potential buyers. May be due to the online car selling has increased and the purchase of cars has been dominantly done between individuals. But the attention went straight to how the dealers are treating their potential buyers. It has completely changed to when those would suspiciously look at you and shoo away when one approached to ask the prices back in 2009. The situation changed completely and one would be filled with desire to buy a car right away. One could notice how much those are willing to sell their stock. Cars of most interest were Prius, while more financially capable ones were looking for the later models of the car like Prius 20 or Prius 30. Nonetheless the cheaper cars like Prius 10 or Probox were selling good according to the dealers on the market. Some would drop the line like "If paid in cash, we can negotiate the price". Buying a car with cash has become a rare occasion as many are interested in taking a lease through the commercial banks. Dealers admitted that no substantial difference in payment is evident. For instance, one buys car worth MNT 10 million and if paid with bank leasing only MNT 100,000 will be added to the price tag, if the payment is done with cash the price remains the same. While if the buyer is willing to pay all in cash some MNT 100,000-500,000 can be negotiable. Below are the models of the cars that are of most interest among the buyers. April 27 (Planet Biometrics) Atlanta-based biometrics firm M2SYS has published a case study of a banking solution it developed for the Arig Bank of Mongolia last year, with finger-vein technology used to authenticate some 400,000 customers. According to a presentation, M2SYS worked with local partner Infinite Solution on a biometric solution that aimed to streamline the customer authentication process at Arig's branches. In an effort to address the problem of identity theft Arig Bank, selected M2SYS' fingerprint and finger vein verification system - M2-FuseID, which has a FBI-compliant 500 DPI fingerprint image resolution and sophisticated liveness detection. While the technology was originally piloted in 2013 in two branches with and initial 20 terminals on a database of 30,000, the latter database has now been upgraded to 390,000. "Arig Bank of Mongolia choose our M2-FuseID hardware because they wanted to deploy an anti-spoof modality to ensure customer safety. They were dealing with a large number of bank account holders and liveness detection was a prime factor of success in order to eliminate fake fingerprint detections", wrote M2SYS in a blog post. April 27 (infomongolia.com) Mongolian national official "Billboard Chart" is announced to release from May 2015, which was agreed by signing a cooperation agreement between Mongolian National Broadcaster (MNB), "Hi-Fi" Media Group, Mongolian Society of Composers, Authors and Publishers, and Mongolian National Center for Sound Recording and Producers. The cooperation agreement was inked on April 24, 2015, and it was negotiated to announce an official release on a weekly-basis with a permission accredited by Intellectual Property Office of Mongolia and the first "Billboard Chart of Mongolia" will be televised on MNB channel on May 20, 2015. The Billboard Chart will feature two categories as the Pop & Rock and Public best songs as ranking the top songs and albums based on digital download sales, radio airplay, ringtone downloads, "YouTube" views, "Likes", internet streaming and experts critiques as well as the third party monitoring on accurate voting will be also considered. April 27 (Financial Director) CHANCES are that – if you were a Mongolian citizen sitting down earlier this month to a calming glass of airag after a long day at the copper mine – your evening's relaxation may have been disturbed by a text message from the prime minister. Assailed by economic woes Chimediin Saikhanbileg sent a message to the population's mobile phones posing a stark question: did they want austerity or prosperity? Bloomberg reports, not too surprisingly, that most people replied that they wanted prosperity. But there was a catch from Saikhanbileg. If the people of Mongolia – a country that harbours delicate sensitivities about the involvement of outsiders – wanted the good times back, then they would have to come to terms with foreign involvement and lots of direct foreign investment. Saikhanbileg laid out the choices not just for his people, but to send a clear message of intent to overseas exporters and nervous multinationals that Mongolia is open for business and sees its future trading with the outside world. Munkhdul Badral, an economist who runs market intelligence provider CoverMongolia in the capital Ulan Bator, tells Financial Director: "It's going to be another tough couple of years economically. The macro numbers are not looking good. Foreign direct investment (FDI) has been falling since 2011 and Mongolia is very import-orientated – FDI was plugging a hole. My personal feeling, after two economic crises, is that Mongolia needs to go through a crisis to put itself on the right track." Mongolia's current malaise comes after a period of significant growth driven by the expansion of mining for coal, copper and gold, itself carried on a wave of inward investment. The World Bank says the economy peaked in 2011 with annual GDP growth of 18% (a huge lift on the previous year's 6%). Since then, it has been falling. Growth in 2014 is estimated to be 6.3%, and then remaining broadly at the same level through to 2017. Perhaps more alarming, though, is what has happened to FDI. In 2013 (the latest reliable figures), investment stood at 47% of 2011 figures. If you take 2008 as a starting point, FDI is only 25% of what it was. In December last year, the World Bank concluded in a report: "Economic policy needs to focus on addressing growing external vulnerabilities with tighter macro-economic policies and reviving foreign investment into the economy." As Munkhdul Badral points out, Mongolia's balance of trade has also rarely been in positive territory, while collapsing inward investment means a depreciating currency, making it harder for the economy to afford overseas goods and services. Which in turn puts stress on foreign currency reserves. And that is a pity because Mongolia was once touted as the coming economy, benefiting not only from trade with the West, but also from its vastly more important proximity to neighbours like China and Russia, both of which had insatiable demand for the country's minerals and accounted for most of the country's exports. Even the Economist Intelligence Unit was wowed, placing Mongolia in second place in November 2013 among countries whose markets were expected to continue booming. Presciently, the Washington Post said at the time: "The country is working really hard to figure out how to make its growth sustainable." UK Trade and Investment, however, bubbles with optimism for Mongolia, saying on its website that it will be the fastest-growing economy in the world over the next two decades. Even the then-foreign secretary William Hague was convinced. In 2013, he included Mongolia on a tour of Asia aimed at generating trade with the UK. UKTI notes that there are opportunities for exports to service the mining industry but, as the country manages a rapidly growing urban population, construction also emerged as a huge trade prospect along with high-end consumer goods. Indeed, Sukhbaatar Square, where Ulan Bator's monument to Lenin once stood, is now home to a Louis Vuitton store just a stone's throw from a Burberry outlet. But as foreign investment waned, the two sectors to be hit the hardest were construction and consumer spending. Agriculture and transport remain positive, but from 2013-14 construction contracted 11% while wholesale and retail goods have seen two successive years of negative growth: -6.5% and then a painful -6.8%. By February, this year the economy was so strained the country was said to be considering help from the IMF. Outside observers explain the country's current travails by pointing to two events in 2012. First was new legislation reflecting the country's anxiety over foreign interference, and the second was a dispute that saw three foreign mining executives blocked from leaving the country for almost three years. The legislative change was the now notorious SEFIL (Strategic Entities Foreign Investment Law) measure aimed at blocking foreign state-owned enterprises from gaining control of key assets. The law came in reaction to efforts by China's national aluminium group, CHALCO, to gain control of SouthGobi Sands, a major coal miner in Mongolia. Unfortunately, the law was poorly drafted and multinationals soon realised that it affected not just Chinese government companies but all investors. Law firm Linklaters says in a report: "Subsequent to SEFIL's introduction investor confidence and foreign investment in Mongolia plummeted." Jon Springer, a writer on central Asian economic affairs, tells FD that he attended an investor conference not long after SEFIL's introduction. "It was a horse and pony show with no one to sell to," he says. SEFIL was not the only legislation to give foreign companies the jitters. A so-called Draft Minerals Law, also published in 2012, caused an outcry after it appeared to threaten mine operators' "tenure" and floated new rules for local procurement and royalty payments. The law was withdrawn and the SEFIL arrangements reformed at the end of 2013. But the damage had been done. Close on the heels of SEFIL came the 'SouthGobi three', a US citizen and two Filipino employees who were detained and charged with tax evasion. The three were blocked from leaving for their home nations and were finally convicted in January this year, only for the trio to be pardoned a month later in an apparent U-turn by the government. According to Springer, the Mongolian government has "created a climate, not only of uncertainty, but of bitter distrust for foreigners". If all of this wasn't destructive enough, the government began a long-running dispute over terms with Rio Tinto, operators of Mongolia's giant copper mine, Oyu Tolgoi, a project accounting for roughly 30% of the state's GDP. The disagreement, over an allegation that taxes amounting to $130m (£87m) were unpaid, was reportedly resolved in April, but the endless bickering was enough to delay a $5bn second-phase expansion of the mine, an investment desperately needed for a beleaguered economy. Further snags came over Tavan Tolgoi, the country's largest coking coal mine. With $4bn needed to exploit what is estimated to be more than 1.8 billion tonnes of coal, discussions pulling together a venture involving China's Shenhua Energy, Japan's Sumitomo Corporation and the local Mongolian Mining Corporation dragged on interminably. This cast further doubts over Mongolia's attitude toward foreign investment. However, the Mongolia political landscape moves as quickly as a desert dust storm. December of last year saw a grand coalition come together in the country's parliament, the State Great Khural, to topple then-prime minister Dendeviin Terbishdagva, of the People's Revolutionary Party – replacing him with Saikhanbileg, of the Democratic Party. Change in leadership was marked by a change in approach. The new arrangement was described as a "dream team" by Alexander Molyneaux, the former head of South Gobi. "I think you could really fix Mongolia in 2015," he told the Financial Times. But for some, the future depends on the "grand standing" promises that could be made by Mongolia's politicians as they campaign for next June's election. Before the 2012 poll, the government privatised a mining company which turned into a cash hand-out for voters. "The uncertainty is what politicians will do and promise in the election campaign," says Jon Springer. According to Munkhdul Badral, the economic metrics seem grim at present, but there are reasons to be optimistic, though he adds that effects of the economy's hard landing are only just beginning, with companies making large cuts to head counts. "I feel we are either at the bottom, or at the start of the bottom, and it will depend on whether we can attract foreign capital in the shortest term possible. The macro numbers are all down to foreign investment," he says. "At the moment, it is difficult. But having said that, it wouldn't be unwise to begin studying the market, because if we manage to get all these major projects going, things should start getting noticeably better. Perhaps not for ordinary people, but for business activity. Things change direction very quickly." Population: 2.8 million. Some 40% of Mongolians live in the capital Ulan Bator. The land-locked nation – six times the size of the UK – is the most sparsely populated independent country in the world. Key UK exports: UK exports to Mongolia hit £20.7m in 2013, up from £11m in 2012. The biggest-value UK exports are mining machinery followed by vehicles and their mechanical spare parts. UK education, consultancy and financial services are also significant. Economic overview: Mongolia's growth is driven by its mining boom. Mongolia is estimated to hold more than $1trn in mineral deposits, yet only a quarter of its land mass has been geologically surveyed. Major exports include copper, gold, molybdenum, coal and fluorspar concentrates. Abutting resource-hungry China provides a convenient market for Mongolia's vast mineral wealth. However, its crumbling infrastructure is a major concern, but it does provide ripe opportunities for UK companies in mining exploration, extraction and production, the supply of mining equipment and technologies, engineering consultancy services and training services. Mongolia's economy is highly dependent on China. More than 90% of Mongolia's imports and exports are traded directly with China, so what affects China also has an impact on Mongolia. April 28 (UB Post) The construction of a highway passing through Ulaanbaatar from Altanbulag to Zamiin Uud will soon commence. The project was awaiting approval on the placement of the highway, but on April 2, the plan was partially approved in accordance with an order from the Minister of Roads and Transportation. The highway will pass through 24 soums of six provinces, and two districts of Ulaanbaatar. On April 24, the State Secretary of the Ministry of Roads and Transportation J.Bat-Erdene delivered official letters to governors of the six provinces. When approving the plan for the 1,000 km highway on April 2, the Cabinet left 97 km unapproved, but an official source reports that the remaining part of the highway will soon be resolved. On March 9, 2014, Chinggis Land Development and the Ministry of Economic Development established a concession agreement on building the highway with build-operate-transfer conditions. The company worked on a feasibility study for the highway and conducted research on geology, geodesy, and hydrogeology. The highway will be a two-way six-lane road. Preliminary estimates suggest that 10 to 12 billion USD will be required for its construction. Chinggis Land says its investment will be coming from long-standing cooperation with international investment foundations, banks, and financial organizations. The first round of investment is expected to be deposited in May. Sixty to 70 percent of the investment will be spent on highway construction, while the remainder will be spent on development work along the highway. There are plans for many trade and service centers, resorts, tourism and business complexes, as well as new settlement zones, and modern eco cities to be developed along the highway. April 27 (Mongolian Economy) We talked with Mayor of Ulaanbaatar E.Bat-Uul in advance of the Ulaanbaatar-Investment 2015 business forum, which will bring together public and private representatives under the theme of 'Partnership for Development' on April 15 2015. Ulaanbaatar looks to cooperate with the private sector on the city's development. How long will this partnership last? Hopefully, it's eternal. How we cooperate is very important in making a lasting partnership. First of all, the partnership must be equal, and partners must be fair and responsible to one another. Otherwise, the partnership will not last long if it goes on in a manner where the state takes advantage and abuses the private sector when it's needed. Partnership depends on mutual trust. It cannot be driven by someone's or some certain group's private interests. A reputation that can raise funds on international markets must be established in order to protect the common interests of all the involved parties and to implement the project effectively. The partnership can be eternal if the project and its experts can be reputable and responsible, and if this project can continue on the market under partnership principles. Is the partnership protected by some kind of legal framework? The current public-private partnership legal groundwork is unequal. The private sector gets something only after appealing, begging and bribing the authority. It's quite similar to a master and slave relationship at the moment. Entrepreneurs have become dependent on the government in order to not lose their future business. However, Ulaanbaatar's Municipality Administration embraces having arbitration in order to ensure the equality of a partnership agreement. Arbitration must also record the negotiations with the government. The Economic Development Corporation will soon be operational to improve the partnership system and update the city's functions for really the first time since the Soviet era. What are the specific responsibilities of the new corporation? The city is transferring into partnership mode to attract investors and implement large-scale projects. A regulatory authority that manages the partnerships is required. We will establish the Economic Development Corporation to cooperate with the private sector. The corporation will work to support the projects which will play a major role in the development of the city. Its objective is to accommodate and address infrastructure issues, land acquisitions and all possible support from the Municipality Administration to entrepreneurs. In addition to the management, it will coordinate its legal regulation. For example, the corporation will receive a very important project from the private sector. A project organ consisting of a private sector and government workforce will be established after initial research is concluded. This organ's experts will conduct a feasibility study, after which the public and private sector will cooperate to raise funds from global financial markets if project is deemed profitable by the feasibility study results. Investors will be positive about a project if the Municipality Administration is fully behind it, because a foreign investor's approach is totally different when municipalities support a project in addition to the project executors. The ADB [Asian Development Bank] and the World Bank only require the project to be profitable; there's no other obstacle to get project investment from them. We consider that it's feasible to attract investors and raise funds by such partnership principles. In fact, there's an expression such as 'money is always there, you just need to know how to earn it'. Indeed, money is everywhere throughout the world. But we need the correct policies and to take significant steps to bring that money into the development of the capital city. I heard that the Economic Development Corporation's board of directors will mostly consist of those in the private sector, a marked change from the norm when a board of directors mostly consists of government officials. What's the reasoning behind this change? The Economic Development Corporation must not become the same as other administrative organisations, which have a bureaucratic mindset that rips off and orders around the private sector. The majority of the EDC's board of directors will consist of private sector actors because the organisation's activities will go by the initiatives of entrepreneurs. Administrators who are not responsible for a single risk will not enter the board of directors. It's our principle. Project contracts and agreements will be registered to the arbitration court of the Ulaanbaatar Chamber of Commerce, so that we can begin our work on fair and equal terms. We seek to amend our trust and credibility issues. We always discuss about building credibility at every annual Mongolia Economic Forum. It's time to stop talking and start doing. A structure and management that will build that credibility must be established. In recent months, credibility is starting to be established in Ulaanbaatar. For example, entrepreneurs cooperated to establish the new Ulaanbaatar Chamber of Commerce, and the Municipality Administration was fully supportive of this partnership. Those in the private sector are uniting and raising their voices together in a timely fashion. They're going to stand against government bullying and oppression together. It's difficult to establish trust with a person who doesn't bear responsibility for single coin. That's the reason why the majority of the development corporation's decision makers will consist of private sector actors. The government also must pay their due if credibility is to be established. The government should pay their past dues if they failed to fulfill their promises and lied. There's no way that only private sector must pay and the government doesn't pay. Both sides will go to arbitration and resolve their issues justly. Is it possible to make Ulaanbaatar a regional financial centre? It's more than possible. The president of the Ulaanbaatar Chamber of Commerce, J.Od, said: "Our door is open for foreign and domestic entrepreneurs." It means that it's also open for arbitration. For example, we receive consulting services from foreign companies. However, those companies always fear getting ripped off by the Municipality Administration. Then the solution is the arbitration. Every issue will be solved fairly according to the law. It's important to establish arbitration with an ability to resolve issues justly. 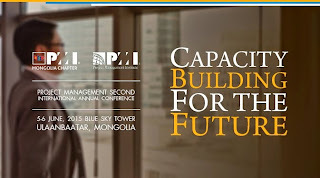 Ulaanbaatar must become an investor's hub. The first thing entrepreneurs and investors want to know is whether or not there's an institution that can justly resolve issues within the law. Everything would be smooth if there is such an institution. Every business is based on negotiations. There will be disputes during negotiations. Ulaanbaatar will become a financial center when we can establish arbitration that can resolves these issues fairly. Why are the private sectors heading to London? It's because there's a fair environment there. Can you elaborate on the ongoing discussions to tax city residents? First of all, it's important to convince citizens on why they must pay this tax. The state must return the civil tax to the citizens through providing support for businesses and serving the public's needs. For example, say we organise an international festival or event with the Ulaanbaatar residents' tax. Many tourists would come as a result. Foreign and domestic tourists will make purchases in the city, which will provide residents more income. Thus, it means that we're bringing buyers in, in exchange for civil tax money; or, a city residents' tax can be spent on better roads. In other words, we're trying to establish a tax mechanism that would support our citizens' lives. The government is committed to a policy that tightens the economy, but Ulaanbaatar is caught up in expansion. Does the opportunity exist for Ulaanbaatar to expand? Fortunately there is an opportunity to expand Ulaanbaatar's economy. We have land and property; what I'm trying to say is we're using everything we have in store to expand our economy and overcome the current difficulties. We want to keep employment and businesses. If possible, we want to increase and expand it. We would have a chance to expand if parliament approves the capital city tax draft bill. We will further enhance the ger district development policy. People want to do business and improve their lives. We should carefully listen to them. Citizens want to have a good life so we must create conditions to make it possible. Ulaanbaatar, April 28 (MONTSAME) The Mayor of Ulaanbaatar city E.Bat-Uul Tuesday received Mr Wang Xiaolong, the Ambassador Extraordinary and Plenipotentiary of the People's Republic of China (PRC) to Mongolia. The Mayor said the Ambassador of China contributed to the ties and cooperation between the countries as well as the capital cities, and awarded him the 375th Jubilee Medal of Ulaanbaatar. The Ambassador thanked the Mayor for receiving him, expressed a pleasure with a widening of the bilateral relations, and said his country is ready to help Ulaanbaatar to resolve issues and to expand the ties. Mr Bat-Uul said Mongolians are thankful to China for supporting the big construction in Ulaanbaatar, adding that Ulaanbaatar wants to take assistance from China in solving ger (national dwelling) areas matters and in cleaning soil pollution. The meeting was initiated by the Ambassador who is returning home upon completion of the mission. April 28 (gogo.mn) Capital City Governor and UB City Mayor E.Bat-Uul and other officials went on business trip to Japan during April 23-24. In the scope of this business trip, City Mayor E.Bat-Uul, Minister of Environment, Green Development and Tourism D.Oyunkhorol and representatives from state and private entities of tourism sector worked in Japan. They held meetings with Toshihiro Nikai Chairperson of All Nippon Travel Agents Association (ANTA), Jungo Kikuma Chairman of Japan Association of Travel Agents (JATA), Shigeto Kubo the Commissioner of the Japan Tourism Agency and Ryoichi Matsuyama President of Japan National Tourism Organization (JNTO). Moreover, they participated in the conference of tourism organizations between the two countries and introduced the activities of "Friendly Ulaanbaatar" program. 18.000 citizens travel to Japan from Mongolia in a year while the same number of citizens from Japan travel to Mongolia. Ulaanbaatar, April 28 (MONTSAME) A preparation will be ensured for providing the city with reliable supply of electricity and heating in the 2015-2016 season. At the cabinet meeting on Monday, an obligation was given to D.Zorigt, the Minister of Energy, to fulfill the repairing and fixing of energy facilities and equipment, to put the "Amgalan" thermal power station into use prior to the heating season, and to provide this power station with three-week coal reserve in October 1 of 2015. Together with him, the Minister of Mining R.Jigjid, and a director of the "Erdenes Mongol" LLC were obliged to increase the coal exploitation from the Baganuur and Shivee-Ovoo mines and to intensify the exploitation in order to provide the new source of energy with coal. Other obligations were passed to N.Tomorkhuu, the Minister of Road and Transportation, and to E.Bat-Uul, the Mayor of Ulaanbaatar city, to maximize the traffic capability of the railway in the Baganuur--Ulaanbaatar--Shivee-Ovoo route, to increase a number of railway vehicles, to grant necessary permission for providing the #5 power station with water resources, to solve land matters for establishing infrastructure of water supplying and to transferring buildings of families and enterprises into other places. April 28 (UB Post) State Clinical Hospital No.1 opened its annex on Monday with hopes to balance loads of its wards and increase efficiency and capacity of the hospital. The expansion is a seven-story building with a basement, and covers over 6,000 square meters of land, with three elevators for patients and hospital staff. Some departments of the hospital moved to the annex and already started receiving patients before the official launch. Those that moved to the annex are the emergency department, communications and information unit, hospital and engineering technical division, departments for cardiovascular diseases, neurology and blood disorders, bone marrow transplant unit, and diabetes center. A total of 21 surveillance cameras have been set up around the early warning system network division, patient and nurse post, and public spaces in the hospital. The annex consists of two blocks. A Block opened on Monday and B Block is expected to open soon, but the hospital administration didn't report a set date of B Block's launch. This year is the hospital's 90th anniversary and the annex was the first of 30 other buildings earmarked for hospitals in upcoming years. April 28 (UB Post) Ulaanbaatar Administration Board organized its annual meeting last Saturday. The General Agency for Specialized Investigation (GASI), State Professional Inspection Agency, General Planning Authority, Property Relations Department and other related organizations attended the meeting to discuss the situation of Apartment No.16 in Bayangol District, which sustained serious damages after an adjacent construction dag into its foundation. The goal of the meeting was to discuss the future arrangements based on the results of the inspection of the building. Apartment No.16 tilted slightly to one side last week, reportedly due to a crack sustained after an adjacent construction started digging too close to the building. The tenants were evacuated to nearby hotels for safety reasons, according officials. According to the geodesy assessment at 16 locations near Apartments No.15, 16, 17 of Bayangol District, there were no significant changes in the soil. Chief of the Construction and Infrastructure Monitoring Department of the GASI D.Jargal introduced the results of the inspection and said, "Tenants can live in the apartments if the foundation soil is unaffected." The Capital City Design Institute is processing the work scheme while soil reinforcement works are set to take place after a full examination. The company that determined that Apartment No.16 has tilted by four centimeters to the west side, in the opposite side of the adjacent construction that was excavated by BGBG Company. However, the GASI explained that the reason for the tilt isn't related to the construction excavation. Officials of the GASI reported, "We can't determine the exact reason [for the tilt], whether the apartment was defective from the very start or if it shifted over the years." Residents believe that the apartment wasn't defective from the start, since it was built by the Russians. In the Socialist period, newly constructed apartments used to go through many examinations by the State Commission, while it rarely happens nowadays. City authorities believe that there could be other reasons for the apartment's tilt. Some authorities stated that since the apartment is located on an earthquake zone, it might have leaned gradually over the years. Director of the City General Planning Authority N.Natsagdorj stated, "An inspection on the quality of this apartment was made in 2013. There was no tilt during the inspection, unfortunately now the building leans by four centimeters." Ulaanbaatar Mayor E.Bat-Uul commented, "Citizens say that the apartment is tilted to the east side while some are saying that the building tilted to the west side. Who cares whether the apartment is tilted to the west or east. Most importantly, an examination must be done, when and why did this happen?" Former Ulaanbaatar Mayor T.Bilegt innitially approved the right to NSR Company to use 3,000 square meters of land, adjacent to Apartment No.16, for garage and service purposes in 2008. In the following year, related officials formulated the regulation No.565, and transferred the right to BGBG Company. Afterwards former Mayor of Ulaanbaatar G.Munkhbayar issued regulation No.470 in 2011, the permit for 2,000 square meters of the land was changed to housing purposes, and the remaining 1,000 square meters of land was to be used for garage and services. Architecture and planning scheme the constructions were made by the General Planning Authority. When asked why they broke regulations by the Ulaanbaatar Mayor, manager of BGBG Company Ganbat responded, "Underground garage land was excavated on a large scale, while the building on the ground level will be small as it was planned on the scheme." The fact that BGBG director D.Myagmarsuren and co-owner S.Oyungerel aren't reachable has drawn much criticism and attention from city officials and the public. T.Bilegt, who gave permits for the use of the 3,000 square meter land, and G.Munkhbayar, who gave the right to build an apartment on the land, are no longer in their positions. The tenants of Apartment No.16 are waiting for answers from the Mayor, BGBG Company, General Plan Office, and State Property Relations Department. At the end of the three-hour Ulaanbaatar Board meeting, the Mayor said that he will hold accountability to those who caused damages to over 250 occupants of Apartment No.16. April 27 (president.mn) During the 10th Asia-Europe Meeting / ASEM / which held in Milan, Italy, in October 2014, the heads of state and government agreed to convene the 11th ASEM Summit in Ulaanbaatar in 2016. The heads of state and government and the high level delegates from 53 different countries will be gathered in Ulaanbaatar and Mongolian hotels will play an important role in welcoming and providing hospitality to foreign guests. Previously, on March 25, 2015, Mongolian journalists agreed to cooperate with each other to organize the 11th ASEM Summit in Ulaanbaatar. And today, during a press conference which held at the Tuushin Hotel, the representatives of Mongolian hotels have also expressed their initiative to team up and engage in the preparation of the ASEM–2016 Summit. At the press conference, Chief of Staff of the President's Office, Head of working group on hotel and accommodation issues of the ASEM-2016, P.Tsagaan noted: "Over 10 preparation meetings shall be held before the Summit and these meetings will be attended by a number of delegates and guests. During the Summit number of foreign delegates expected to reach 4500. It is a matter of honor and a great responsibility for us to host and organize the ASEM Summit in Ulaanbaatar". April 27 (The Hindu) In tune with its effort to interface India's Mausam and Spice Route projects with its Maritime Silk Road (MSR) initiative, China is making headway in integrating a Mongolian and a Russian initiative to develop another spur of its ambitious Silk Road land corridor. China wants to include Mongolia's "Steppe road" initiative, and link up with the Moscow-driven transcontinental rail plan to develop the China-Mongolia-Russia (CMR) economic corridor. The CMR initiative is similar to two other undertaking initiated by China: the recently inaugurated Pakistan-China economic corridor, and the Bangladesh-China-India-Myanmar (BCIM) corridor. China is encompassing a string of initiatives, hoping to sprout several new "growth engines" in Eurasia under the "Belt and Road" umbrella. Faced with the challenge of convincing governments to integrate their national plans within the "Belt and Road" initiative, the Chinese have already sounded their readiness to enmesh India's Mausam and Spice Route projects within the framework of its larger plans. China's ambassador to India, Le Yucheng told The Hindu, in an interview that China was "willing to strengthen communication and coordination with India, to link the 'Belt and Road' initiatives with India's 'Spice Route' and 'Mausam' projects, and bring tangible benefits to the peoples in our two countries and throughout the region." • plan the implementation of the TTFS 2020 for 2015 and beyond. The TTFS 2020 was refined in 2013 to integrate lessons learned from implementation, analysis, and changes in the CAREC Program. It is aligned with the CAREC 2020 Strategic Framework and identifies three operational priority areas: (i) multimodal corridor network development, (ii) trade and border crossing service improvements, and (iii) operational and institutional strengthening. To learn more about CAREC transport initiatives, click here. April 27 (The National) UAE and Mongolian officials met on Monday to discuss cooperation. Ahmed Al Jarman, assistant foreign minister for political affairs, met with B Delgermaa, senior adviser to the Mongolian prime minister, to discuss the upcoming visit of Mongolian president Chimed Saikhanbileg to the UAE, state news agency Wam said. Ms Delgermaa praised the UAE's stature, hailing its advancements and saying her country is looking forward to building a permanent partnership with the UAE. Ulaanbaatar, April 27 (MONTSAME) A ceremony took place on Saturday to pass a duty of the chairmanship of Organization for Security and Co-operation in Europe (OSCE) Forum for Security Cooperation to a successor. Mongolia successfully chaired the OSCE Forum for Security Cooperation from January to April of 2015 and transferred it to the Republic of Montenegro. Within the presidency, Mongolia focused big attention on strengthening the security in European and Asian regions, implementing UN Security Council's resolutions and decisions concerning proliferation of nuclear and weapons of mass destruction and controlling armament, and on cooperating with the OSCE Partner states. Mongolia also hosted a regional conference on the OSCE Code of Conduct on Politico-Military Aspects of Security this March 10-12, which gathered Japan, the Republic of Korea, Thailand, Australia and Afghanistan. April 28 (infomongolia.com) Commemorating the 50th anniversary of the establishment of diplomatic relations between Mongolia and the French Republic this year, Foreign Minister L.Purevsuren hosted a ceremonial banquet in his office welcoming the French delegates on April 27, 2015. At the banquet, the Embassy staff headed by Ambassador Extraordinary and Plenipotentiary of the French Republic to Mongolia, Mr. Yves Delaunay and senior diplomats as well as officials from Mongolia-France public-private sectors were also present. In his remarks, Ambassador Yves Delaunay underlined, "Our bilateral relationship is laid over 800 years ago, where emperors from Mongol and French States had been exchanging notes and it is our pleasure to exhibit some copies of these historically significant documents to all you gathered here". Ulaanbaatar, April 27 (MONTSAME) The Prime Minister of Mongolia Mr Ch. Saikhanbileg and his counterpart from New Zealand Mr John Key have exchanged congratulatory letters on the occasion of the 40th anniversary of the establishment of the diplomatic relations. The Premiers note that our two nations share common values and strategic interests, and highlight the attributes of being small nations in the Asia Pacific region. New Zealand PM stresses a support of Mongolia to New Zealand's candidacy for the UN Security Council. The Mongolian PM acknowledges New Zealand's contribution to strengthening of the public sector and capacity building in Mongolia, and underlines his government's interest to boost bilateral relations in agriculture, education and peacekeeping spheres. Mr Saikhanbileg also invites his colleague to the 20th ASEM Summit that will run here in 2016. April 27 (infomongolia.com) The Japanese Sankei Shimbun daily reports that the President of Mongolia, Tsakhia ELBEGDRORJ will be conducting a working visit Japan on May 20-25, 2015. President Ts.Elbegdorj will be having a bilateral talk with the Prime Minister of Japan, Shinzo Abe during the participation an international event scheduled on May 21-22 and to discuss the ongoing implementation process of the Mongolia-Japan Economic Partnership Agreement (EPA). To recall, the State Great Khural (Parliament) ratified the Mongolia-Japan EPA in February 2015, which was mutually discussed for over three years and now the Japanese Parliament arranges to approve the Japan-Mongolia EPA in May 2015. Also, the latter Presidential visit to Japan was arranged on July 21-22, 2014, when President of Mongolia Ts.Elbegdorj and the Prime Minister of Japan Shinzo Abe had signed off the Joint Statement regarding the intergovernmental approach to EPA. Moreover, prior to Japan visit, President Ts.Elbegdorj will be attending the 2015 Moscow Victory Day Parade on May 09, 2015. April 27 (infomongolia.com) Celebrating the 45th anniversary of the establishment of diplomatic relations between Mongolia and the Italian Republic in 2015, the Embassy of Mongolia in Italy in collaboration with Cuccinelli Foundation, Ministry of Education and Culture, and Mongolian State Academic Theatre of Opera and Ballet (SATOB) are to premier an Italian famous opera buffa (comic opera) in Ulaanbaatar. In the scope of celebration, the "Livietta e Tracollo" famous comic intermezzo by Giovanni Battista Pergolesi will be staged at SATOB two times on May 01 at 07:00 pm and May 02 at 05:00 pm by joint soloists from both sides, where a group from Italy already arrived in Ulaanbaatar on April 24th comprised of a baritone Leonardo Galeazzi, soprano Eleonora Pirondi, conductor and music composer Fabio Ciofini, Director Paolo Baiocco, lute player Stefano Maiorana and Cuccinelli Foundation representative Laura Colletti. Ulaanbaatar, April 27 (MONTSAME) The second meeting of the National Organizing Committee for the Autumn meeting of the Parliamentary Assembly of the Organization for Security and Cooperation in Europe (OSCE) ran April 23. The gathered analyzed the processes of a preparation for the international meeting and consulted the intended frameworks. The Autumn meeting will run in Ulaanbaatar this September 15-19. The National Organizing Committee was set up on April 14 of 2015, under the direction No 89 by the Chairman of the State Great Khural. Vice Speaker R.Gonchigdorj is chairing the committee. The Organization for Security and Cooperation in Europe was founded on the basis of the Helsinki Final Act in 1975, and has been joined by 57 countries. Mongolia joined the OSCE in 2013. The Organization also has 15 partners in cooperation. April 28 (infomongolia.com) Celebrating the 70th Anniversary of the Victory of the Liberation War as marked the end of the World War II in 1945, Mongolian military delegates of 75 servicemen headed by Commander-in-Chief of the Armed Forces of Mongolia, President Ts.Elbegdorj are to participate the 2015 Moscow Victory Day Parade. So, over 40 cadets from "Temujin-Urlug" Secondary School affiliated the Defense University of Mongolia are also to march at the Victory Parade in Angarsk city of Irkutsk Oblast, Russia on May 09, 2015. Mongolian cadets were invited by Angarsky District Governor and will be heading for Russia on May 05 to join military staff and other cadets of the District. Moreover, Kh.Munkhjargal, S.Tserendorj and B.Enkhbayar, students of Mongolian Armed Forces, to perform the famous Russian wartime song "Katyusha". April 27 (gogo.mn) Mongolia is bearing losses due to extensive fire in Eastern three aimags. Specifically Bayan-Uul, Bayandun and Dashbalbar soums of Dornod aimag is having the most losses of the cattle, herd shelters and herders property due to extensive fire shifted from Russian border. The fire has not been extinguished yet. Over 50 percent of the Bayan-Uul soum territory has burnt and the soum center is under smoke. "This is one of the issues we have spent several years negotiating. During the inter-cabinet committee sessions we constantly discuss the prevention from cross border fires. But as of now there is no agreement done to do reimbursements both ways. This is solved the case by case. If the sides agree the reimbursements are done, if not no reimbursement." Ulaanbaatar, April 28 (MONTSAME) The cabinet meeting on Monday made a decision to purchase firefighting tools and devices. It has been decided as such due to increasing cases of forest and steppe fires. The Minister of Finance J.Erdenebat was allowed to take 600 million Togrog from the governmental reserve fund to buy fire-protection coverings, protective goggles, water sprayer and other facilities. The cabinet authorized Brigadier-General T.Badral, a head of the National Emergency Management Agency, to perform the procurement action in accordance with the law on purchasing products and services with state and local capitals. April 27 (gogo.mn) According to the information received from the Mongolian Association of Alpinists B.Tseveendash and T.Gurragchaa have arrived in Kathmandu, Nepal on April 10th to head to Tibet. Both of the alpinists are in good health and have started their climb to Everest from the Tibet side at 6500m. Moreover, monks at Mongolian temple in Bihar region of India and three Mongolian tourists in Nepal are all safe. Ministry of Foreign Affairs reported that they are on constant contact with Mongolian Embassy in Delhi, India. April 27 (Oyu Tolgoi) The Oyu Tolgoi project has brought many changes to the South Gobi, and changed lives in the local community for the better. There are many stories of people, families and communities from the region, but today we hear the story of a young herder who became a mine operator. D.Khurlee, a citizen of Khanbogd, was born and raised in Javkhlant bagh, where Oyu Tolgoi mine is located. It is common for children to dream of new adventures, and growing up seeing construction bring the Oyu Tolgoi project to life – D.Khurlee dreamed of joining the project and having a chance to operate the huge trucks and machinery that the mining industry is known for. Starting from a simple herding life, D.Khurlee progressed quickly towards his dream. First finding employment at Oyu Tolgoi as a road maintenance worker, he took advantage of Oyu Tolgoi's policy to encourage people to apply for positions at the open pit, and expressed his interest in becoming a heavy equipment operator. With Oyu Tolgoi's total focus on safety, this first meant a month of safety inductions and simulator training before going anywhere near the equipment, and afterwards a two month long apprenticeship to ensure thorough learning. The largest vehicle D.Khurlee had driven up to this time was a passenger car, and the transition to the Komatsu 930E-4SE haul truck – was in his own words – overwhelming. The truck is 15 meters wide and 18 meters long, and can haul 290 tonne loads with its 3,500 horsepower power plant. The fuel tank alone, D.Khurlee exclaims, weighs 4.5 tonnes! Speaking about the experience, D.Khurlee said: "My life has changed dramatically since I joined Oyu Tolgoi. I am happy the way the company cares for its people, and our team works in harmony – just like a family, working hand in hand. We always advise and help each other. I am grateful to my colleagues. Being an operator feels good. At the mine, safety is the main priority, and working safe is the most important mission of all, for all of us." "It feels good to work in my hometown in such an interesting job," said D.Khurlee with pride, reflecting on the state-of-the-art technology at his fingertips at a world class mine in his native land. D.Khurlee is proof of how young herders from the local community are replacing their horse bridle with the steering wheel of a powerful machine, aspiring to new opportunities and a new life. April 27 (gogo.mn) This year Mongolia celebrates 380th anniversary of High Saint Zanabazar, born Eshidorji, who was the first Jebtsundamba Khutuktu, the spiritual head of Tibetan Buddhism for the Mongols. In view of this event works and crafts found at Zanabazar workshop at Saridag temple remains are displayed to the public. Historians view the temple built in 1654-1680s by Zanabazar as the Khalkha Mongol Buddhist Center. Today the exhibition opening ceremony held at the Zanabazar Fine Arts Museum to display the findings from the archaeological excavations held at the workshop. The opening ceremony was attended by City Mayor E.Bat-Uul and Speaker of Parliament Z.Enkhbold. According to S.Chuluun, DIrector of Institute of History at Academy of Sciences expedition team under Institute of History conducted the excavations at the site which resulted with significant findings. Moreover he emphasized that findings reveal that Zanabazar was working in different areas such as line drawing, stoneware and pottery, temple accessories, silver bowl, coins crafted in Nepal, military armour, swords and pistols. All these findings will play significant role in defining the Mongolian history of 16th century and extend the research on Zanabazar arts. "I have studied the images of Gods created by Zanabazar in accordance with the measurements. It was an amazing craft as the work lacked even one millimeter difference. I have studied works done in Japan, Tibet and other countries and those were not corresponding even to 70-80 percent of measurements. This leads to a proof that Zanabazar has reached the heights of the God image crafting and Mongols exceed in this arts." Moreover he emphasized how Zanabazar finely crafted God's image out of yellow mud with the size of a nail, while creating 5-6 m tall Buddha statue showing his extraordinary craftsmanship. April 28 (gogo.mn) "Playtime 2015" Live Music Festival is to be held during June 27th and 28th at Mongol Shiltgeen which is located in Gachuurt. This year, Pains of Being Pure at Heart from USA, SSIGHBORGGG, Yusun Erdene from Inner Mongolia will performed at the festival by the invitation and over 40 bands, singers and DJ`s will perform from Mongolia including Niciton, Nisvanis, The Lemons, Mohanik, The Colors and Rec On. Mongolian and foreign live music bands will be introduced through three stages. In addition, "Replay" artistic program will be implemented which is to call for youth to reduce waste during the festival and contribute to establishing friendly relations. April 28 (gogo.mn) Mongolia's leading contemporary artists Enkhbold and Unen-Enkh are to participate at 56th International Art Exhibition, la Biennale di Venezia. The Venice Biennale is a major contemporary art exhibition that takes place once every two years in Venice, Italy. 89 National Participations will be exhibiting in the historical Pavilions at the Giardini, at the Arsenale and in the city of Venice. The countries participating for the first time in the Exhibition are Grenada, Mauritius, Mongolia, Republic of Mozambique, and Republic of Seychelles. Enkhbold's early interest in art was influenced by his parents, who introduced him to simple working with wood, and he began carving as a young teenager in the countryside. Recalling his fascination with carving, Enkhbold cherishes his memories of joyous satisfaction as he transformed the wood with his hands. Those unforgettably pleasant experiences led him in 2001 from his rural home to the city to enroll in a private art college first, then soon after transfer to the Institute of Fine Art, the best established and only public school of art (established in 1945), and to seek a career that was inconceivable to his parents at the time. Artist Enkhbold's works have been displayed in distinguished museums and galleries in Mongolia, Finland, Great Britain, Korea, China and Hong Kong, curated by outstanding curators such as Johnson Chang, the founder of Hanart TZ Gallery in Hong Kong, and Annu Wilenius from Finland. Unen Enkh was born and raised in Mongolia. As the artist recollects, the foundation of his thinking through art was established in his early childhood. Both his parents had a critical impact in his development as they nurtured his taste for imaginative ideas and encouraged courageous free thinking, unusual during socialism. Showing a serious interest in art and drawing, in 1974 he went to the only public, state-run Institute of Fine Art. Unen Enkh studied graphic art. As part of an exchange between socialist countries, in 1981 Unen Enkh went to Eastern Europe to attend art colleges, first in Prague and then in Budapest, where he graduated with two degrees, a bachelor's and master's in art. His success in graphic art was quite obvious as several works received awards in 1985 and 1987 at the Graphic Biennale in Miskolc, Hungary. Although he continued to work in graphic art, his interest in other media and experimentation began in Budapest in the mid-1980s. Now he is based in Freiburg im Breisgau, Germany. Below is the schedule of Mongolia Pavillion at the Venice Biennale. Ulaanbaatar, April 27 (MONTSAME) The "Mongolia Day" event was organized for the members of the Women's International Club on April 22 in Canberra of Australia. The gathered were addressed by Mrs M.Oyun, the spouse of Mongolia's Ambassador and a vice president of the Association of the Spouses of the Head of Missions in Australia. A Prof. Li Narangoa, a director of the "Mongolia Institute" at the Australian National University, gave a "Chinggis Khaan and Women" report and then answered questions from the audience. Short piece from the "Queen Mandukhai The Wise" feature film was shown, Mongolian traditional long song, dance, Morin huur (horse head fiddle) and throat singing performances were presented by the Mongolian artists from Sydney. Mongolian calligraphy and paintings were exhibited during the event. Some 300 women attended this action that has been run by the Women's International Club and our Embassy in Canberra. April 24 (U.S. Embassy) On Earth Day, April 22, 2015, the Environment, Science, Technology, and Health (ESTH) unit of the U.S. Embassy organized a screening of Jeff Orlowski's documentary film "Chasing Ice" at the American Cultural and Information Center. 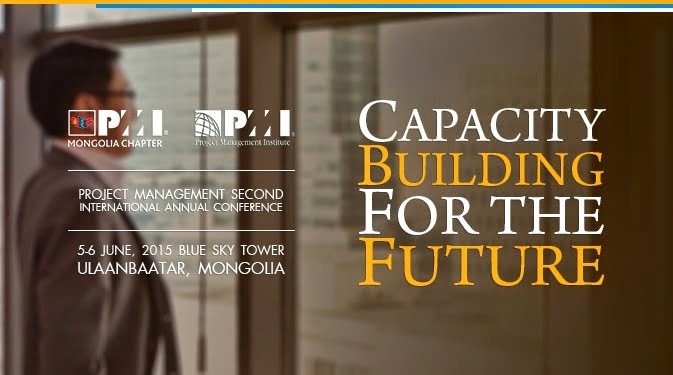 The Fresh Water Institute of Mongolia co-organized the event. The film depicts American photographer James Balog and his team as they document the world's vanishing glaciers. Many young people, mostly students, and some climate change researchers attended the event. A panel discussion focusing on water and climate change issues in Mongolia followed the film. Z. Munkhtsetseg, professor at the School of Engineering and Applied Sciences of the National University of Mongolia; G. Anar, hydrologist at the Fresh Water Institute; and, Ts. Gerelt-Od, an officer with the Climate Change Coordination Office in the Ministry of Environment, Green Development, and Tourism, comprised the panel. Mongolia is a country especially vulnerable to climate change. Temperatures have increased at roughly three times the global average since 1940, according to Mongolian officials. During the panel discussion after the film, the audience discussed passionately both problems and solutions to Ulaanbaatar's climate change challenges. One young participant commented on how the film opened her eyes to the seriousness of climate change and its consequences. Another participant was very interested in knowing more about how temperature changes are affecting water resources in Mongolia.Another theme raised during the discussion was the need to raise awareness among the general public and non-scientists, and, most importantly, to educate people about what individuals can do to reduce their carbon footprint. Many audience members said that initiating a discussion about climate change through Balog's pictures and images was far more persuasive and understandable than showing technical charts, graphs, and numbers. Even the researchers who attended the event said the film was impressive and opened their eyes. One suggested the film be shown to more Mongolian researchers and climate change experts. Ulaanbaatar, April 27 (MONTSAME) A State Honored Sportsman and long-distance runner B.Ser-Od took the 6th place in the 2015 Hamburg Marathon Major that took place Sunday in Hamburg, Germany. By taking the sixth place in one of the world's major marathon races (two hours 10 minutes 15 seconds), he has been qualified to participate in the 2016 Rio De Janeiro Olympics, which will become his fourth participation in the Summer Olympic Games. Another Mongolian L.Otgonbayar IMS took the 11th place in the women's race, making her personal best result in two hours 38 minutes 51 seconds. Thus she has been qualified to compete in the 15th World Championships in Athletics which will be held in August in Beijing, China. Ulaanbaatar, April 27 (MONTSAME) A State Honored Sportsman G.Osokhbayar has returned home after having conquering Mount Kosciuszko, the highest peak of continent of Australia (2,228 m above sea level). Mr Osokhbayar is the first Mongolian to conquer Mount Everest (8,848 m), the highest peak of earth, and to raise our state flag on Mount McKinley (North America, 6,195 m), Kilimanjaro (Africa, 5,895 m) Mount Elbrus (Europe, 5,642 m) and Mount Kosciuszko. He also reached the latitude 90 degrees of the North Pole in 2013. Within his purpose to reach the highest peaks of all continents, he plans to conquer Mount Aconcagua, the highest of South America (6,960.8 m) and Mount Vinson Massif of Antarctica (4,892 m). April 27 (gogo.mn) The Abu Dhabi World Professional Jiu-Jitsu Championship took place from 23-25 April at the IPIC Arena, Zayed Sports City. National Wrestling Champions have competed for this tournament and Mongolian team showed great success at the Abu Dhabi World Professional Jiu-Jitsu Championship 2015. B.Sugarjargal won gold medal at Blue Belt category (This belt bridges the gap between beginners' level and intermediate level. A blue belt practitioner must acquire vast amounts of technical knowledge in all aspects of Jiu-Jitsu to implement the moves efficiently. ), D.Azjargal won gold medal at Purple Belt category (This is the intermediate adult ranking. The IBJJF requires that a student should be 16 years or older and have spent a minimum of two years as a blue belt to become eligible to receive a purple belt.) G.Erkembayar and O.Bold-Erdene won gold medal at Brown Belt category (This is one of the first elite ranks, considered a level for refining techniques and practical skills rather than accumulating new ones. The IBJJF requires that a student be at least 18 years old and have spent a minimum of one and a half years ranked as a purple belt to be eligible to receive a brown belt.). O.Jargalsaikhan received silver medal at Female Blue Belt category. April 28 (UB Post) Bayangol Falcons became the first National Women's Super League champion last Friday, beating their opponent Etugen SBL Khasyn Khugluud by a narrow score of 70:63. Despite Etugen SBL's relentless defense and offense in the first half, with a 17 point lead, Bayangol Falcons was able to overtake in the second half of the match. Etugen SBL and Bayangol were in the lead with an even 2-2 scores before they faced off. The tournaments lasted over five months. Bayangol Falcon's D.Ganzul was awarded the Finals MVP, who finished with an average of 27.4 scores and 3.2 rebounds. The Season MVP award went to MUIS Leopard's B.Bolor-Erdene, who scored an average of 24.8 points, 21.5 rebounds and 2.0 assists. The Mongolian Basketball Association started the National Women's Basketball League tournaments last December, with the aim to promote and support female basketball players. Also, it was the first time foreign players, namely Ashley Prim and Dee Dee Williams, competed in a Mongolian women's major league competitions. During the award ceremony, the judges named five starting lineups of the national league: SHUTIS Sharks' Kh.Maijargal, Etugen SBL Khulguud's B.Undrakh, Bayangol Falcons' D.Ganzul, MUIS Leopards' B.Bolor-Erdene, and Dornogovi Five Signs' G.Enkhdelger. April 27 (gogo.mn) The Competition will be two-day event held on May 2nd and 3rd, 2015 at the Dart Neuroscience Convention Center in San Diego, CA and offering money prizes from a pool of $76,000. Mongolia is represented by five mental athletes and they headed to US, today, with their referee and trainer. The competitors will be split up into 6 groups of 4, mixing the best and worst in each group to maintain fairness. All matches will be head-to-head competitive style, with competitors facing each other (1-on-1). www.extremememorytournament.com is to live broadcast from the competition.